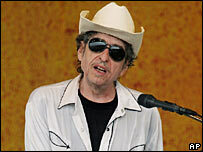 US critics have panned a new Broadway musical featuring the songs of Bob Dylan, following its debut last week. "'The Times They Are A-Changin' is so bad that it makes you forget how good the songs are," wrote The Wall Street Journal's Terry Teachout. The New York Times's Ben Brantley summed up the musical as a "systematic steamrolling of Bob Dylan". 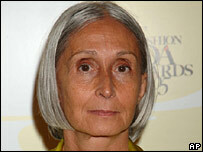 The show has been choreographed by Twyla Tharp, who adapted Billy Joel's hits for the production Movin' Out. The rock legend's songs are used to tell the story of a young man's relationships with his demanding father and a beautiful circus performer. Industry paper Variety described the musical as "plodding", calling it a "literal-minded fable that's vibrant and busy, but also chaotic and narratively incoherent". As well as the title track, the musical includes Subterranean Homesick Blues, Mr Tambourine Man and Blowin' in the Wind. Dylan approached Tharp three years ago after the success of Movin' Out, which ran for three years on Broadway. The musical received its US premiere last February in San Diego, California, where it received mostly encouraging reviews. It is the latest in a long line of so-called 'jukebox musicals' - musicals based on the work of best-selling artists - to attract the derision of US critics. Lennon, based on hits by the Beatles, and Good Vibrations, which featured songs by the Beach Boys, both closed early on Broadway last year following poor reviews. Bob Dylan - why the fuss?